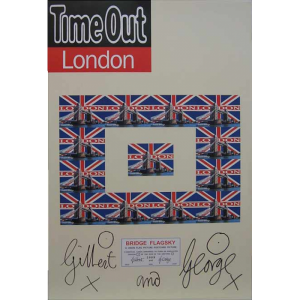 Gilbert and George are probably the most famous “Double Act” in art having found that they create the best work, working together. They have had numerous – What IS the word for what would be for anyone else One Man Shows??? – around the world. 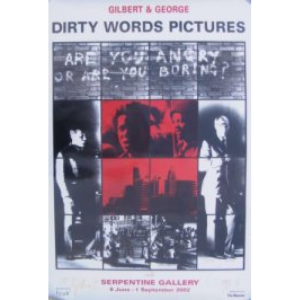 I purchased these prints directly from the Serpentine Gallery who told me that G&G had personally supervised each one being put into a tube BEFORE it left their studio ! THAT is dedication. 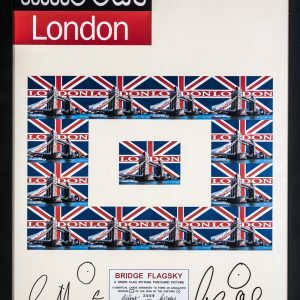 The Edition Size was 7500 of each image for World Wide. 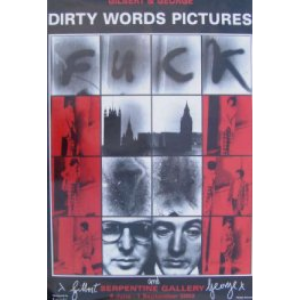 It is interesting that I believe that Gilbert & George were the FIRST of the artists that Beck’s Beer sponsored to design a Beer Bottle and it was used at the Opening of their Show at the Hayward Gallery – They are now worth £500 A BOTTLE !